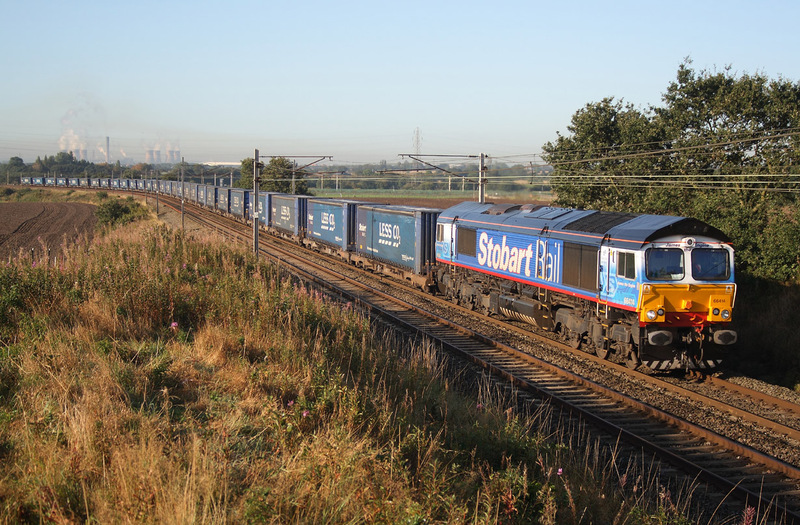 66305 6G94 Crewe to Bescot engineers. 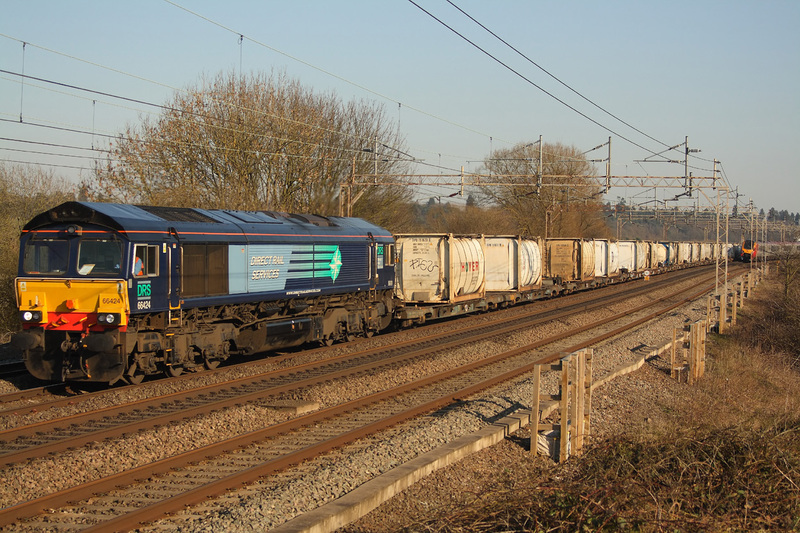 A recent new flow is a 6V38 Daventry to Wentloog intermodel service for Tescos,and produced a Malcom liveried 66 the previous day,being not sure of the diagrams regarding locomotives it did seem that to get the same loco today would have been pushing it,and this was the case as 66428 passed Portskewett nearing its destination,with the late running certainley helped regarding sun angle but when the clocks alter i would think it will be much harder to get the coveted "sun on the nose"scenario for this working. 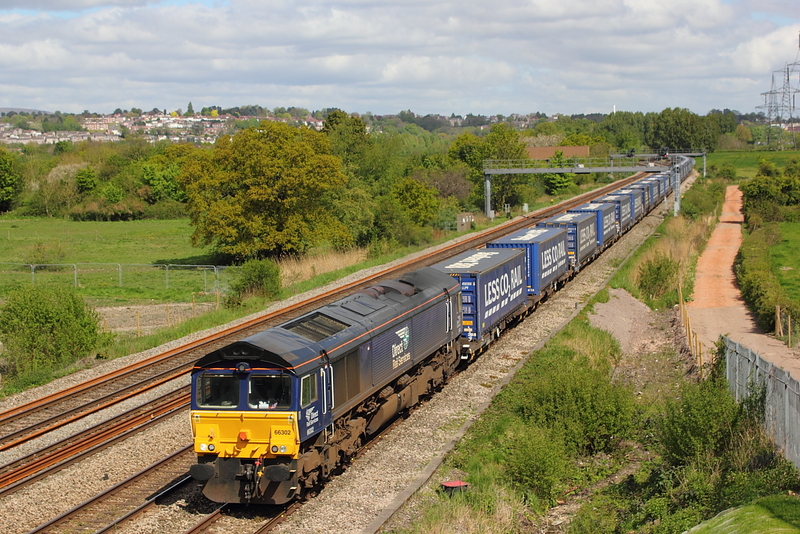 66429..4M71 Tilbury to Daventry sugarliner. 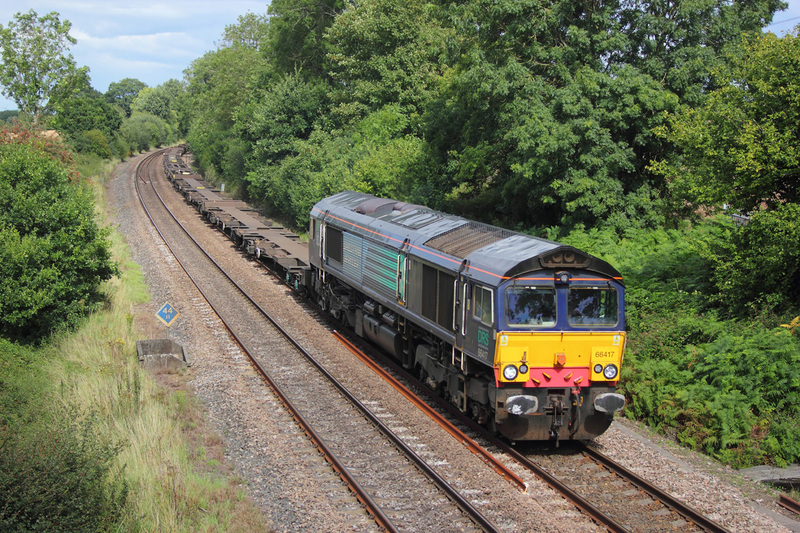 Hired in DRS 66417 passes Silchester on a empty 4O02 Lawley St.to Southampton liner. 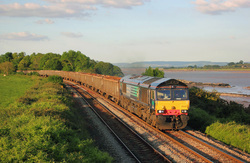 In late evening sunshine,66428,passes Purton on 6Z90,the Stockton to Cardiff Tidal loaded scrap. 66411"Eddie the Engine" 4M71 Tilbury to Daventry sugerliner. 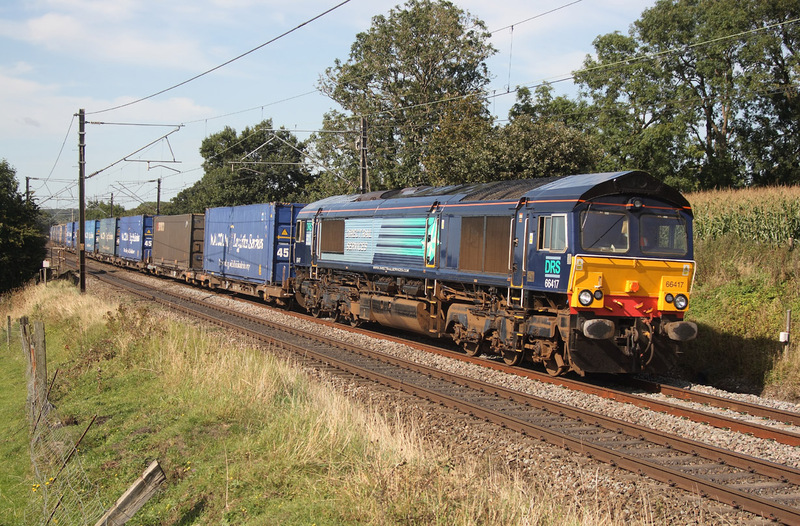 DRS 66424..4M71 Tilbury to Daventry sugerliner. 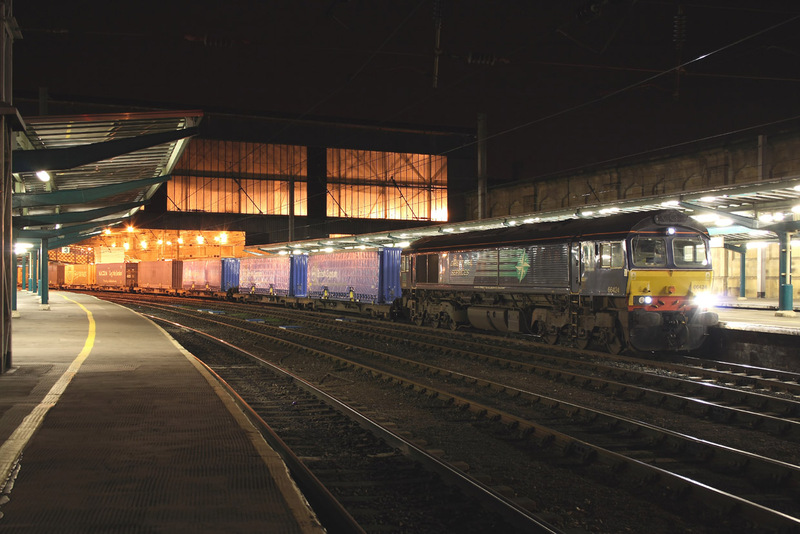 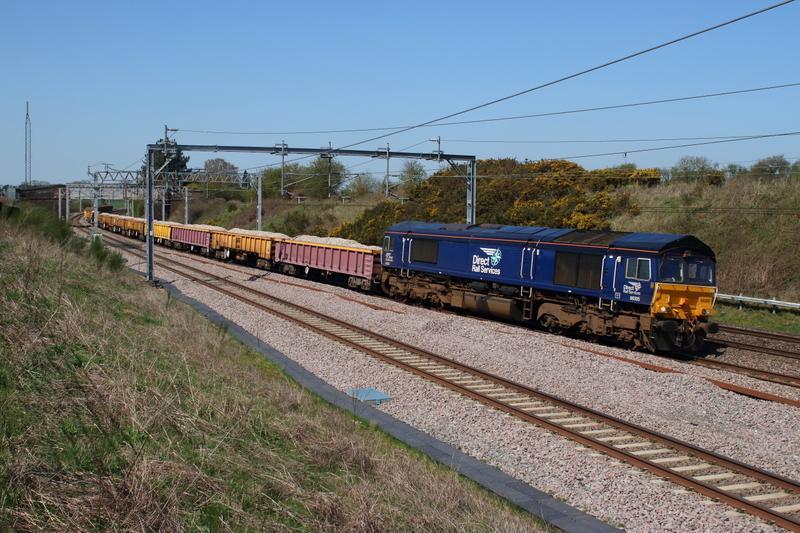 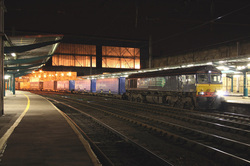 66424 ..4M30 Grangemouth to Daventry inter-model. 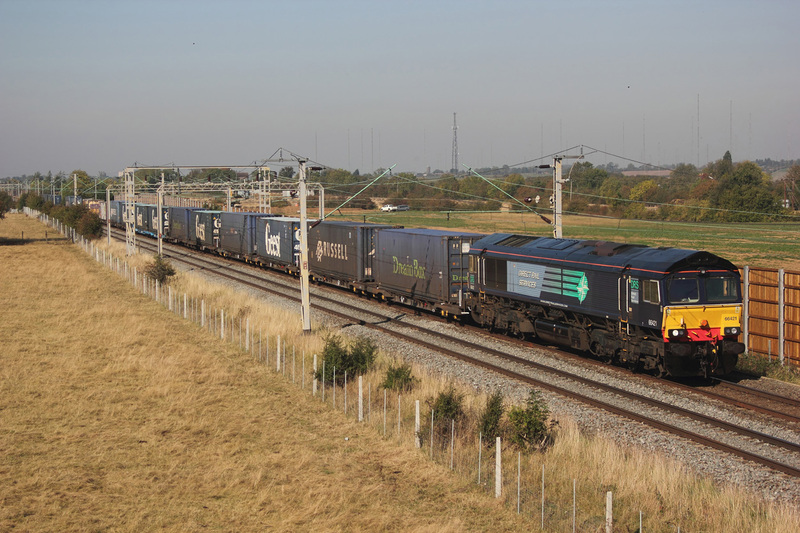 66417..4M44 Mossend to Daventry intermodel. 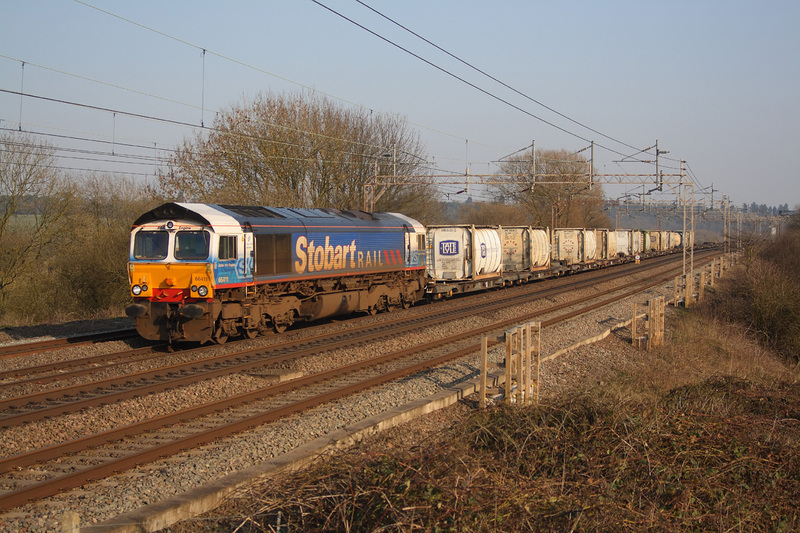 66414..4S43 Daventry to Grangemouth Tesco's intermodel.